A simple and lightweight magazine styled theme. 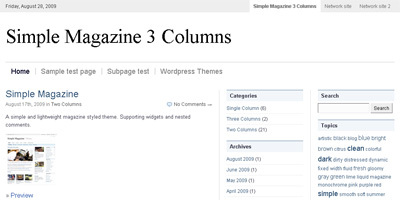 Supporting two sidebars, widgets and nested comments. There is a two column version available as well.